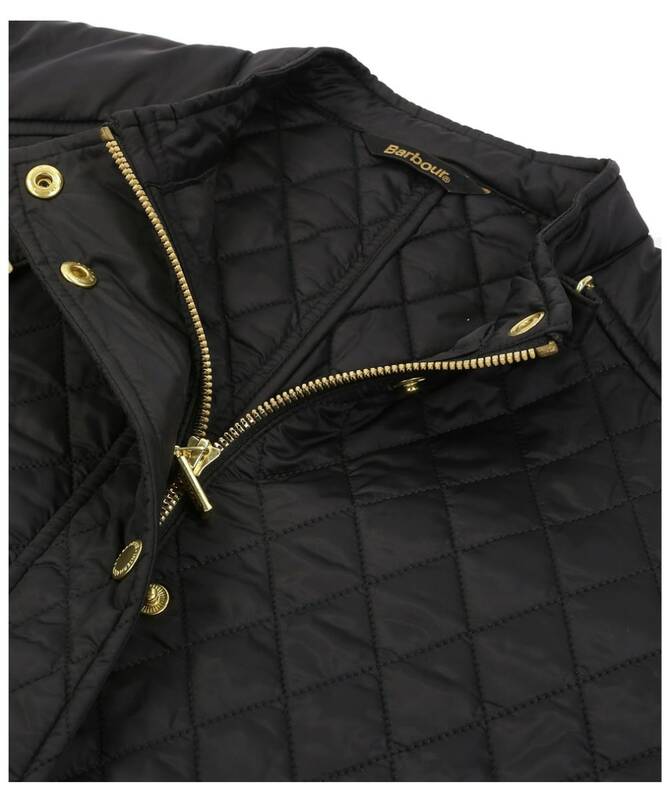 An essential for any stylish lady's wardrobe, the Barbour International Port Gower Quilted Jacket, has been designed to a longer length making it perfect for adding warmth on those cooler days. 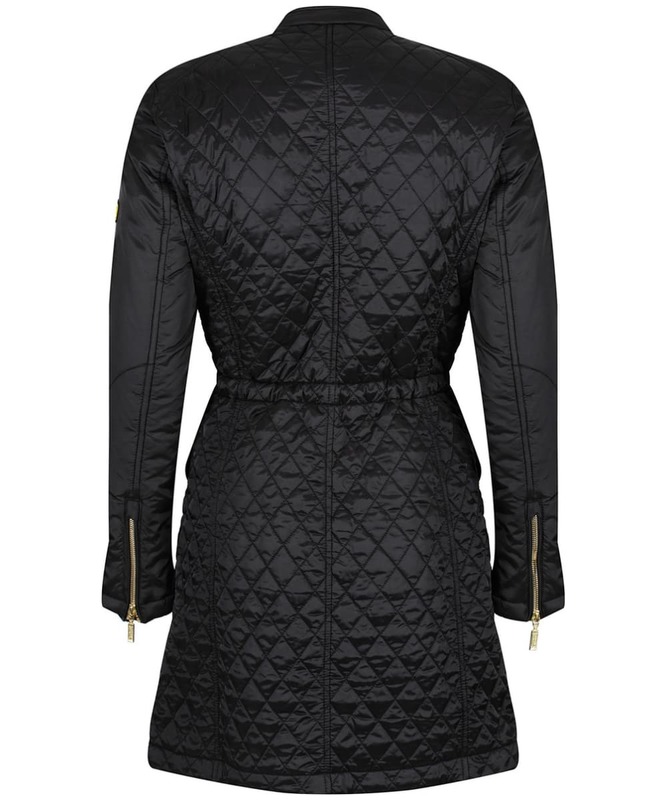 Featuring beautiful diamond quilting to the body, with contrasting un-quilted sleeves for an on-trend feel, the jacket has a drawcord to the inner waist allowing you to create a figure flattering look. For your added convenience, the jacket has two front patch pockets, as well as two zip fasten pockets providing ample space for your personal essentials. The Port Gower is finished with Barbour International stitch detailing, as well as a throat strap and signature branding to reflect their motorbike heritage. Rated 5 out of 5 by Lesley7 from So many compliments Received the coat as a Christmas present. It is so comfortable to wear and the shaping and fit of the coat has given me many compliments. 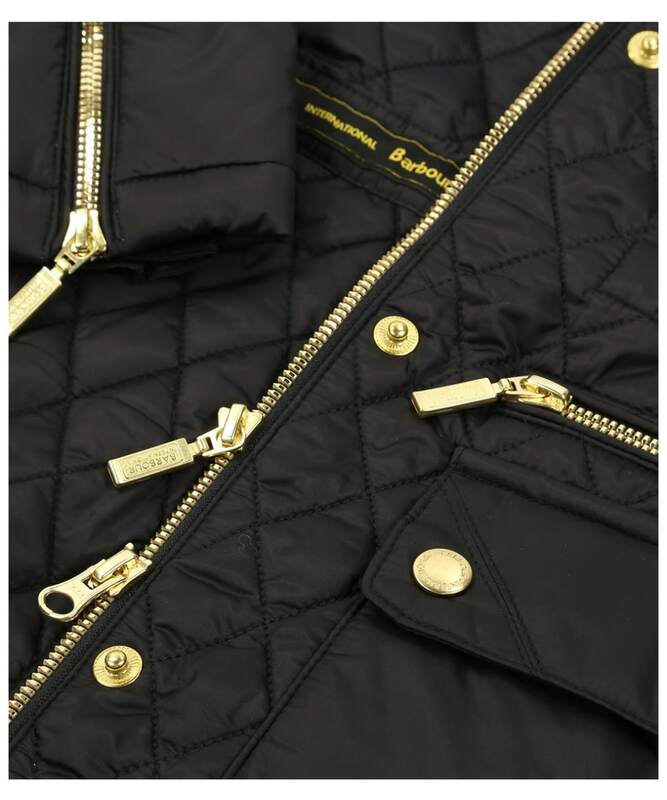 Rated 5 out of 5 by gnim from BARBOUR PORT GOWER Love this jacket , very stylish and love the zip pockets and gold coloured studs. very smart. excellent quality. 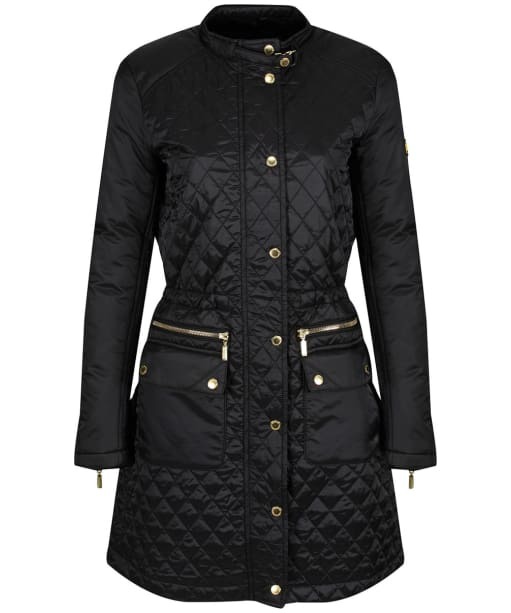 Women’s Barbour International Port Gower Quilted Jacket - Black is rated 5.0 out of 5 by 2.